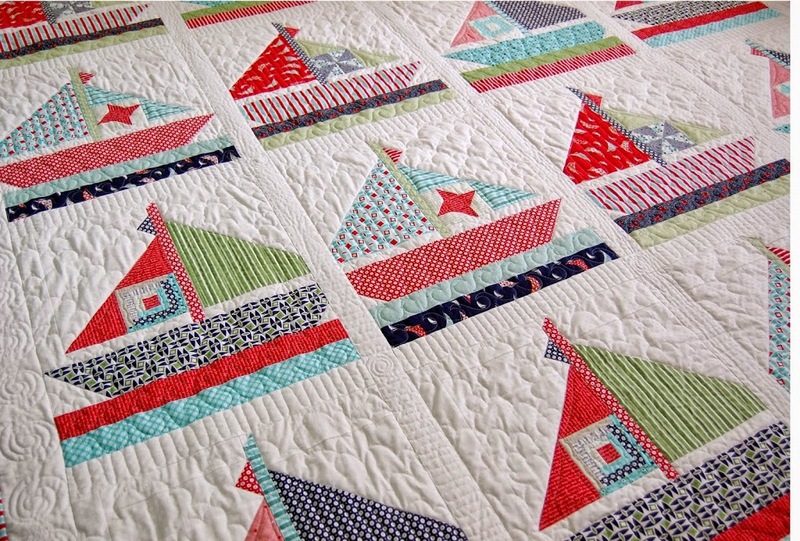 Interviews with Designers Featuring: Daysail by Bonnie and Camille! 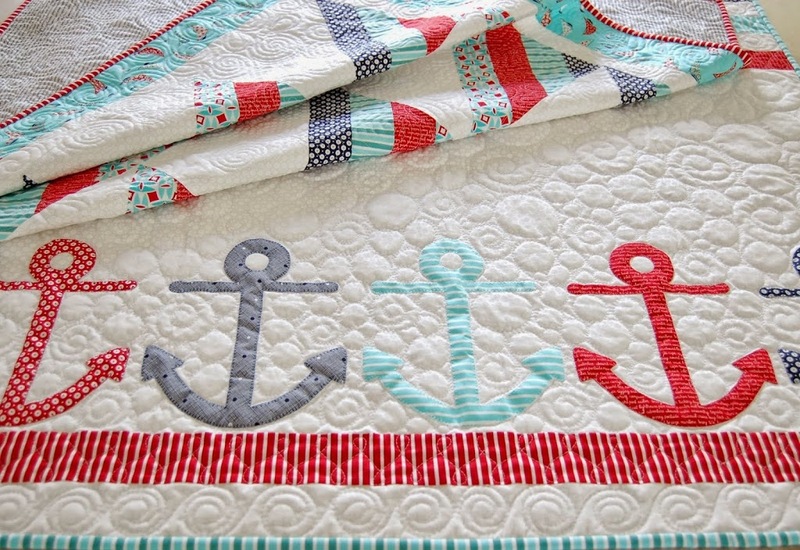 Bonnie and Camille are the amazing designers of some of our most popular collections like Miss Kate, April Showers, Happy Go Lucky, Scrumptious and my personal favorite, their newest collection, Daysail. 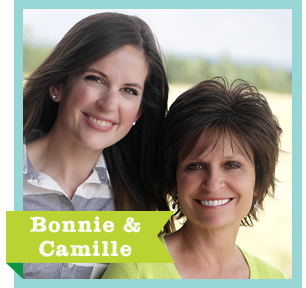 Bonnie and Camille are a mother and daughter duo who combine traditional and trendy styles through out their collections. They put their creative and talented minds together and create beautiful designs and patterns. I had the wonderful opportunity to interview Camille (daughter) to discover where their inspiration and talent comes from. Take a look at our interview to find out more about these amazing women. Q: What got you interested in becoming a designer? 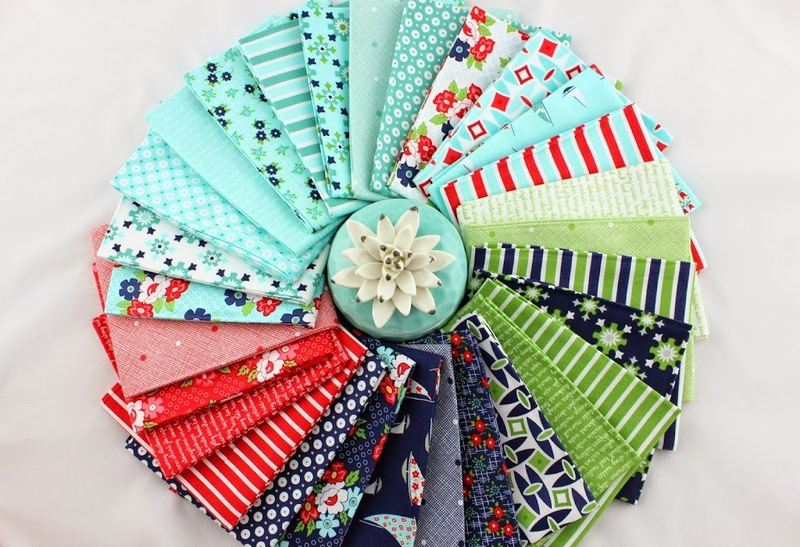 A: My mom started her pattern company, Cotton Way, 25 years ago when I was 6 years old. I grew up sewing and folding patterns, and I think I “designed” my first fabric line when I was about 10. 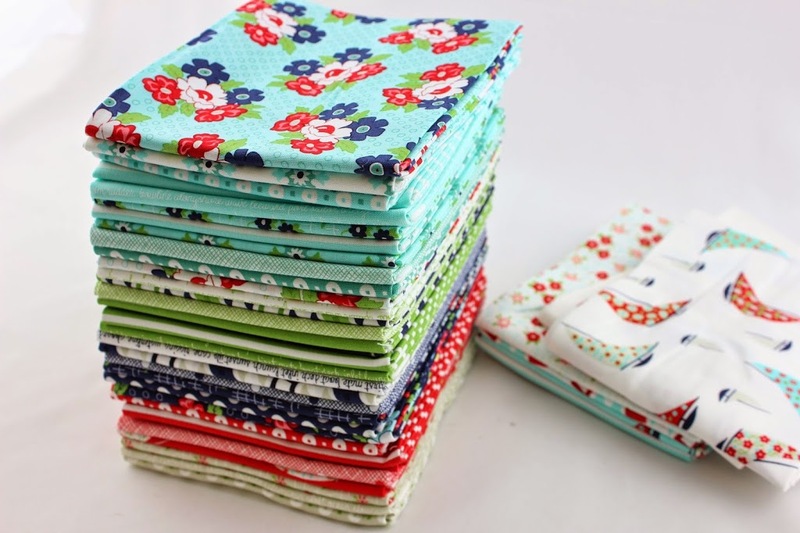 I didn’t start my company, Thimble Blossoms, until I was 22, but it was a great fit right from the start. When Moda contacted us a year later to ask if we would be interested in designing a line of fabric for them it was a BIG yes! Q: How many collections have you designed? 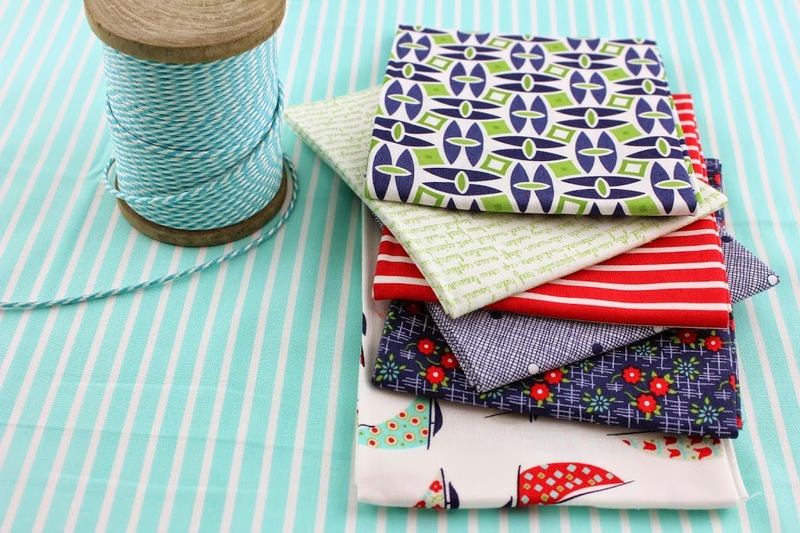 A: Daysail was our 11th line of fabric, and our 12th is all ready to debut at Spring Market. It’s so crazy! Q: What would you consider your style to be with the fabrics you have created? A: Our style is what we would call Vintage Modern. We mix redrawn and recolored vintage feedsacks with newly drawn, more modern prints. We love how the charm that only vintage prints provide combine with clean and simple basics to make something special. In fact, many of them have come from my grandma’s feedback collection, which makes them even more special. We also choose names that have a retro vibe and colors that go along with it too. Q: How do you find inspiration for your next collection? A: Our fabric lines always have a starting point, and it’s rarely the same from collection to collection. Sometimes it all starts with a name, like Miss Kate who was my grandma Ruby’s sister. When we decided on a name, a sister line for Ruby came together so perfectly! Sometimes we start with a color scheme, which was the case with Marmalade and it’s rainbow of colors. It’s always a little different, and surprises us a little bit when it all comes together! Q: What was your inspiration for your current collection and or your previous collection? A: Daysail was inspired by two things- the time I spent working on a sailboat in Nantucket when I was in college and the most perfect sailboat feedback I’ve ever seen. It was love at first sight, and after we found it, we stopped everything that we were doing to work on the line. It was too much fun to stop! Q: What is the most rewarding part of being a designer? A: I would definitely have to say it is seeing what everyone creates using our fabric. We have seen the most beautiful quilts, dresses, bags, and just about everything else you can think of made from our fabric over the past 7 years and it never stops being just as special as it was in the beginning. Thank you so much for sharing with us!! Bonnie & Camille are my favorite designers. I was never a quilter to get one line of fabric ever. Mainly because there are always some fabrics mixed in that I don’t care for plus I have fun mixing it up. 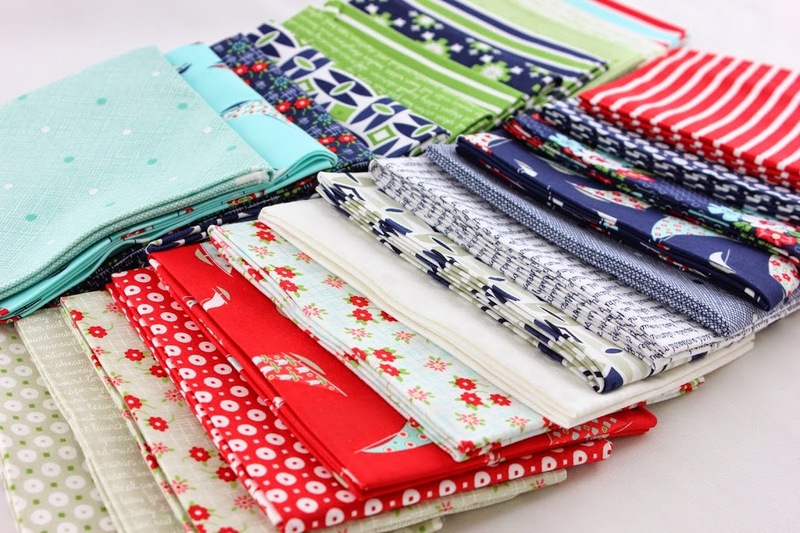 Bonnie & Camille are the first fabrics that I have been absolutely smitten with EVERY SINGLE fabric they have designed.